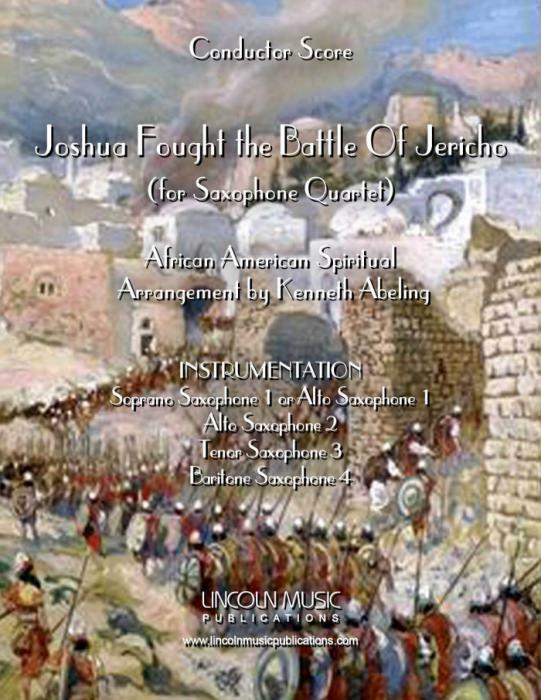 “Joshua Fought the Battle of Jericho” arranged for Saxophone Quartet by Kenneth Abeling. This is the final installment in a series of popular African American Spirituals. It is an Intermediate level arrangement and is appropriate for all religious services and Black History events.